Student retention is one of the most important ingredients to a successful martial arts school. By retaining more students for longer periods of time you increase the quality of your programs and the revenues associated with it. This webinar with Mark Russo, COO of Amerikick Martial Arts will teach you top 10 must haves for Martial Arts School Owners. Mark is a 7th degree black belt with 30 years of training and teaching experience and he has owned and operated a martial arts school for almost 25 years. COO of Amerikick Martial Arts. Mark is a 7th degree black belt with 30 years of training and teaching experience and he has owned and operated a martial arts school for almost 25 years. Moira : Hello, welcome to our webinar, excited to host another fantastic speaker. Just before we begin, I want to remind you all to like us on Facebook at www.facebook.com/championswayfans to stay up to date on future webinars and other great news we have for you. So today we welcome Mark Russo. 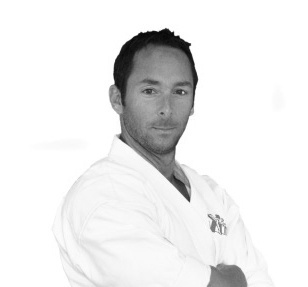 Mark Russo is the COO of AmeriKick Martial Arts. He has a 7th degree black belt with 30 years of training and teaching experience. And he has owned and operated a martial arts school for almost 25 years. He'll be talking to us today about the 10 must-haves for student retention success. Without further a due, I'd like to get started with our webinar. Mark, please go ahead and entertain us. Mark : Thank you. And thank you everyone for attending this webinar. / Can you see it here? Okay, "10 Must Haves for Student Retention." Quick bio about myself for folks who'd like to know who you're talking to and will be sharing with. I started my martial arts career at age 10 with Traditional Tang Soo Do /, with a very strict Korean instructor. For anyone here who has / from. I taught my first Karate class at a solo class at 15. Opened my first Karate school at age 20. I was a sport Karate competitor for a very long time. Winning my first national Karate tournament at 26 in Atlantic City. I trained with some of the best martial arts pioneers of the time, Ed Parker, Joe Lewis, Remy Presas, Joe Palanzo. My current instructor is Dennis Tosten who I would say we've been together for a very long time. I own three locations at age 30. We have about 800 students at the time, and / great experience and /. Vice President of Amerikick at age 35. Currently I'm COO of Amerikick. I did stunt work and / for much longer. And I wanted to just mention this as well because this is important to know that when we were doing professional martial arts school back in the 80's, some of the companies that we worked with or be a part of, so you know my history is EFC, United Professionals, all the major players, so we have a lot of experience in what we've done. When the school's aimed to be somewhat professional from /. And of course number one but I put it last / I'm a proud husband and father of two. So that being said, I'm going to start with, and I hope that everybody can hear me clearly. If not Moira will let me know. Your class schedule is one of the most important elements to the success of your school. I put this first even though / second / why. But I put this first merely because your class schedule is attainable for new members and you never get to / new students. Your class schedule must be varied and attainable for families and children. I say families and children because that's the majority of most of markets now. We are in that market place. We are constantly fighting over time for parents and students /. What I mean by that is everything that they're doing right now with sports, school, extra-curricular activities, even like families, siblings when we have multiple children, going around, I understand too being a parent it's very challenging, so your schedule must be able to accommodate all of this. Some of these things that I mention here are /. Assigning class students versus allowing students / class schedule. What I mean by that is at our schools, what we've discovered over years, / by allowing students to attend any class during the week as oppose to schedule certain days and time has really helped over the years, especially with /. So as a student you join as a 7 year old beginner, you have a class three, four or five days a week, whatever / that student's allowed / to come to those classes any time and mix and match / in advance within schedule and they just come in and show up. So it allows for another / your academy / factor. / with schools that assign classes to students /. For example you're doing at your school, you're telling / two / minus two. I think they're going to stay there with you for years that they will tell you how much your value, not / of Karate school, it's / all these activities / so you're allowing for that /. And that may work for certain level if you allow them. As they're progressing they hope to / over the years, if they get to a higher level, they may not make it to the advanced but / to this class and this class / maybe their schedule / not allowing to do that, so you / have them tell you / talking about having / flexible schedule. Your class times should be varied to have an early and later time. In particular an example I'm going to use is having two early times / classes to fit the / classes. / having the academy / I made it so the parents / schedule / later / class they can attend. And again it's / schedule. You have the set time for your kids beginner class 5 o'clock throughout the week, you may not have /. That's why I say schedule is so important. Your core curriculum classes must be offered every day, 6 - 7 days per week, and that's really important, if you're open seven days a week. And the core curriculum classes that I'm talking about is in particular our market is kids ages 5, 6 to 12. So that's where we are and that's our core curriculum. So we're giving them the most classes / beginner, intermediate, advanced, / specialty classes. You probably have 50 fun classes a week that you offer to all your students. You should update your class schedule 3 - 4 times per year or seasonally. This is very important too because depending on the time of year, their programs will peak and I love, you may have a great spring time and you've involved a lot of 3 - 4 year olds or 5 and 6 year olds, so you might have to adjust your schedule for the spring. On the other side of that maybe / for that. You might have / schedule /. In summer time, a little / so you will have / Sundays. So making adjustments is / easy, it's very important to / adjust to your schedule and allows students to upgrade their memberships so they can attend multi classes. This is really important too because you upgrade students to a higher level training program it means / and / allow them to / some more classes that not / days. What I mean by that is you tell a student that they / days or moving classes, and they / sometimes they may tell you that they can come in every day, therefore they're not going to upgrade. So what we tell them is they're getting / the classes / they get three classes a week / 6 - 7 classes. But then in certain days / double classes. So for example on one set / sparring class at 6 o'clock, they / that. Following that / second class / class. So a lot of our days we have back to back classes that student / allows for easier upgrade to students. But again go back to the parents not having the time. A lot of our students have very / public schools, private schools and the students / three classes / for two hours / you can see how /. And again your schedule should include make up or refresher classes built into your schedule. So the student misses a class, whether they're sick or on vacation, they could come in to these classes. We have one schedule / in Saturday, it's on the schedule with regular, it's part of the program, they don't /, they can just show up. Of course if we find / student / theie schedule as well but it's on the schedule and part of our program, so students can always make up their attendance. In that class we have a dedicated instructor that is just reviewing curriculum only to catch them up in review, and to keep them up /. This one which I had mentioned probably most important, you must have super star classes /. Classes should be high energy, motivating and exciting. And I think a lot of us that we have / around / probably / school know the difference of are they excited, / clapping, / cheering / class, music / class / mundane or slow /. Your classes, they must be consistent and they must follow a lesson plan / curriculum / very important /. But you'd be surprised / happens / instructors / more / teaching your classes. Maybe it's fun / all the time / or class /. Sometimes the instructor / or if you don't have a structured lesson plan or curriculum / teaching what they want or they /. No, they can't be. The nature of / follow the lesson plan. You have lesson plans every week, 52 weeks out of the year. So you're going to make sure that's been covered in the curriculum so students are promoting on regular basis, very important to promote every / month or every / weeks. Your classes must be professional, taught professionally, / sparring time and / time. I cannot tell you how many classes I've been to where that is not happening or / later / late and they / so everything becomes late. So you really want to make sure that / and very professionally. Your instructors should be professional. They should dress accordingly, they should be caring, they should be skilled and have a personality. As a side note I want to make here, you know you can't teach personality but you can teach skills that / so I'd much rather have someone who has a great personality, very outgoing / and teach them the skills that they need to be instructors. They don't have to be champion world / martial artist to be a very good instructor. They just / care and excited about. Your students must leave every class with a positive experience. They must be excited, they must be educated / active curriculum, ending the classes in a high note. You can do a whole webinar just on class mechanics and what should be done in classes but this is kind of /. But that's what you wanted, you're going to want to pay attention to your students / and watch their body language. If they're excited, motivated, you want them coming back for more. You must include life skills, character development, huddle discussions, message of the week, whatever you want to call it into your classes. It should be done regularly, scheduled / that are curriculum or lesson plan / talking about but it goes back to teaching not only martial arts, you're teaching /. / great human beings and they're following up with being great at home, being great in school, and just everywhere in life. So this is very important. We actually had it built in into our curriculum so they have to / certain / and include their certain items to earn a stripe then move to a higher level. It's very important that you got that included as well. I'll finish on this one with the classes: no down time, no sitting. I say that because classes should be pretty much exciting and moving all the time. Class is going to slow down / special drill, but what I mean by sitting down is / thing happen that / classes sitting down for several minutes or five minutes, we have one student /, performing, or they're selling what they did /. / the students were sitting, they lose attention and apparent / why is my class sitting. You have a child / for five minutes, it's a 30 minute class, think about that. That's a big / in the class so keep it moving and exciting, no down time, only / or sitting when they're talking / or discussion only /. You must have amazing tests and graduations. Test week here we have every 4 - 5 weeks, taht's very important. And we have belt graduations on Friday nights or Saturday afternoons. We will talk about that. Your testing should be regular so if / some of the students / talking about / stripes into our curriculum. So every four or five weeks they're getting progress test we call test, and we're reviewing the curriculum / should they have their class /. And then /. And then every two to four months they're / belt, it's very important that students have / graduation. Belt graduations are the single most important event at your school every month. It is important because they showcase your product. If the / black belt / extravagant / you make it that way, you know we're inviting people. Their / and friends that come to it. They're having a demonstrations we're giving away / so it's very important that you make it exciting and highlighting / students. One third of your student body should be graduating to a new belt /. Depending on the size of your school and then of course higher level rank takes longer to / maybe it's 25% of /, you want to be in that / make sure that they are ggraduating. If they're not, look at your staff, something's not / happening with the instructor so /. All students should earn or promote I mention every month. Students must receive recognition during the tests, graduations, awards and promotions. You call every single student up / stripe / uniform. / talking about it. You're giving them that recognition /. Graduation the same thing. Student of the month, outstanding attendance , all the special awards /, academic excellence achievement /. It's very important to do that. A test list you should have done and created a month in advance, not only for yourself but for your students as well the parents. So they know and they're excited that in two months they're going to get / test / whatever their level is. That's important if you have that and paste it somewhere visible so all the parents can see. Never fail a student in public, only in private - it's very important. / make a lot of / stop their development. Students should earn a stripe every month/ . And offer make up tests for students who miss, especially if they're little age, the young age, 3, 4, 5 and 6 year olds, even some of the beginners /. When you get to a certain level / they must attend the graduation /. So you / important. Even though you have a soccer game or a baseball game, this is important for your Karate, / showcase you and demonstrate. So that's why you need to / graduation mandatory up to the advanced higher levels. Beginner levels / make up tests. You must have special events monthly at your school. You know they're huge retention tools / income generator as well. What's important is that these are events that bring your students together and the parents. The more friends that they / the more they're keep coming, active at your school, they'll be / more to / school, part of your community. That's what you want your school to be, down at the bottom 'make your school the place to be in your community or town'. So you already / a lot of / and friends and /. Now again depending on the size your school. If you have a small school with / students, maybe you / in a month. You have larger, 300, 400, 500 students and more, you're doing several events to accommodate all of your student body. One to two free events a month, 1 - 2 paid events per month. Pizza parties, end of school year parties, holiday celebrations, / free events. If you could / to bring a friend / as well, but if they're / union, so you get lead generation out of it. Specialty training class / as well, women's self defense protection. Fun night, parent night outs, we do that every month regularly. / income generator tool as well. Also keep in mind that we have special events at your school that you have them for younger children. Fun nights are / 6 - 10, 11 year olds. But / older or / they don't really excited about that, so you need to have / event. Also adults and families, keep them in mind. Picnics are great for families. Student parties / teens when they're older or students that / keep them all in mind as you're doing the initial planning. Fund raisers and charities are important. You should be doing / at least. Community events like Safety classes. Now this time of year with Back to School more / similar topics. We're talking anti-bully prevention, we're talking safety, stranger danger / prevention and of course how to be a great student in school / Back to School / super student / . These are things that we can also offer as free events / as you get involved /. But again make the school "the place to be" in your town or community. I'm just making sure that everybody can hear me clearly / as we move on. You must have specialty classes in your programs. Specialty classes increase skills and motivation. They are income generators as well. What I mean by that a specialty classes and black belt club, master club, that's what we call it /. Dream team training. We have weapons and use a variety of them. Sport Karate training we offer traditional weapons trainings. So we do a lot with the black belt club. / a bit more black belt club if you got extra classes coming up / membership and training / learning / the most. Different styles, you're giving them the tools, experience /. So that's really important. Sparring classes, we have a separated for Beginner and Advanced class, and of course a specialty class / membership. Competition or tournament training. We / and believers in healthy competition. We / ourselves. We have in house tournament as well. We're / of / tournaments / to win but to have a great time to / your skills and to do your best. So that's important. We have competition team of our school that we / program training / as well. / is that / program / extreme martial arts training program that we have at our schools. We'll allow it for children / older / students / that we see everywhere. So that's a separated program that we have / made it so popular. These classes can be both paid and non paid, I mention that. Maybe you offer several styles at your school, maybe you teach Taekwondo, you teach /. So we can add these into your curriculum as well if you happen to teach several styles arts school /. So Fitness/Cross training, Yoga, Fitness Kickboxing, these are all, you can / program as well, so they offer more. So when students come, they / the one thing / learn. So it's important to have /. You must have a leadership team. Some people may call the SWAT team / program, there's a lot of terms. You call your leadership team /. Basically it's / instructors. Leadership teams - they create a future for your advanced level students. They also create value for existing programs because what they're doing is, they're basically taking your students at certain level that your / certain age / happen to be / level, usually 11 - 12 year olds /. And they're teaching them how to be helpers in the class, how to be / when / special events /. And basically what they're telling them is you're going to be our next level / instructor or / a student instructor. They make it / required from leadership team. A lot of the children want to be involved in it, so I think /. To us we value that. So it's really a / training / instructors. We use leadership members / in class, use them for special events, door greeters, birthday parties, everything /, representative of our school, and some time they make money from / events as well, so there's a lot of /. It's important that you have this leadership team / program. All parents want their kids to be a leader in the community. They want to have /. And it's really important if you know how many negative influences in this world. / school that's going on. You want our children to /. Plus you have the opportunity to do that, to develop leaders. So parents want / importance /. / more / instructor / for them, so you can really / with it. Also the team members they can motivate other students and they're excellent role models /. Your paid staff should all be recruited from leadership team members. I'm happy to say that from my years I've had / 99% of my /. I have 5 - 6 right now that are ready to / take over the reign / because /. So that's why it's so important to continue /. I say this in our training that as much as you love to involve your students, you should be continually recruiting instructors to train and to have /. Hiring from within is much stronger than from hiring externally. It's very important to know, I've done both, but the loyalty / from hiring within. Have a weekly or monthly leadership training class. Well it depends on the size of your school, on the size of your team. If you / in charge / as well or monthly training / training as well. Very important to have. You must have a demonstration team. Okay, demo teams are the physical representation of your product. It's like test driving a new car. It's very important that you have this / in your school. Successful schools, they have multiple teams. If you have / school, again we have a larger school, bigger school in /, but the / we have a / 6 year olds. We have beginner level team, level team, black belt level team, demonstration team /, and it's great to / because they / next level /. But it's important because it's /. 95% of your students will aspire to be in the demonstrations team. 95% of them should be able to, that's important /, they should be able to /. So if you have a team, at least they should be able to get on the beginner level /. Maybe you have / so many people on there but it's important that you have that / too. And your / so it's very important /. Have your demo teams perform at all your events, all your belt graduations, you do it every month /. Use them at birthday parties and open houses. All of / happen right now / events, Back to School, / program. Maybe it's not the full team, maybe it's a smaller level team, but it's very important that they / because it's what we're selling. We're selling a martial arts training, obviously the skills / motivate by seeing our students /. They're performing, they're confident, they're demonstrating / ability, discipline, respect and physical demonstration / this is what we have. / their child is aspired to / showing them / what's going to happen to their child in / programs. Again I mention the big tournament, / competitors. / competitions / events / that you're going to teach the format. Most of the students / asking you /, and again just promoting your school. They're the representation of your school, so you need to /. Your black belts must be part of a team. Okay, so depending on the maturity of your school, if you have black belts / or not, some schools / a lot of black belts they're graduating. So you really need to have / black belts, you need to have a very proactive ranking system. Nowadays children are starting at much younger than they were three years ago. There are 5 year olds. So it's not uncommon that you have a 9 year old black belt or / 5 - 6 years at the school /. So that means that you created junior black belts which more a lot of schools do. We also create another level of senior black belts, and then you have / 1st degree black belt. You kind of /. It's good if you do this as well but the difference between them, a year to year training and certain environments, but they / black belt / that they see there's another levels to go to, so it's important that you have this, and students are / of each level. Junior black belts will get bored after years of training. / we really want to make sure that they are motivated, find out what their hot buttons are, and you get them on a team. / by a team, demonstration team if they're not / there. They're candidate for leadership. Maybe they have great skills / but they're great in their personalities and / leadership team. Your competition team. Maybe they're great fighters, or / they want to be tournament trainings, so / as well. Extreme martial arts / older when they can do more. Also differerent styles. So you teach different styles, maybe they earn another degree, maybe you have Judo / Judo class /. / you see / different of / retention. I'm happy to say that I've had much successful with / high level percentage of students definitely / through high school over to college. The black belts could be five, six or seven years, so it's very important that you have /. Your staff must implement retention acts. It's no rocket science, I think it's no big secret that / retention acts /. I'm assuming we all know this, but if not then they're the ABC's category. A level student is the student that comes every day, you can / as soon /. B level student, they're a little / with their attendance. Maybe they're not super motivated, they miss classes. C students are the ones that are missing a lot, they're not motivated, never want to /. So your C students / the biggest /, if you're generating a list weekly or bi-weekly, or say bi-monthly. You're / your staff / when you're creating action points that motivate students and / as well. One week and two weeks calls - these are / students who miss the week. They're coming in. If they miss two or more weeks, you're really / them. Great Job notes are a note that you're sending after your students / involved / the whole system to that, if they're getting something / the excitement I want to mention is /. I get a lot with Facebook messages and email and / students /. Do not underestimate the power of the mail. A young child getting a mail / postcard. My daughter who's in / 3 years old / sensei, she talked about / made me take pictures with it, showed it to everybody / so excited about it, so / as well. You want to make a note about emails versus calling. I want to keep / email /. The power of a phone call really / talk in person / feel calm and so much more / than emails, because so much email / junk emails. Some people miss it or they just /, or maybe they just don't open it. So emails are great but there is / make contact / physically call them /. Staff must be able to read body language. Now / here is going to follow the instructor training /. This is important / when the student's not having a great experience in your school, especially maybe if it's / class, they're walking, wearing their head down low, / lost, they're hurt. Or maybe it's during testing, they / points off /. You've got to watch out for this / jump out / follow up. Staff must be able to give one minute praises to students and parents. It's really important because the instructors, they're not continually talking to parents /. Keep in mind that parents want feedback, they want to hear what's going on. Nowadays we all know that parents / area / when their heads are down. So you got to go out there and talk to then, give them /. "You know Johnny did well in class. / self defense techniques, his jump kicking really work /. / the students really well, that he should be / next graduation." So you're getting a quick phrase, whether he needs to work / very important that all your staff /. Using student names multiple times in class. Staff must create a private lesson experience in a group class environment. Let me repeat: staff, instructors, must create private lesson experience in a group class environment. That's so important / making them feel not a number, I'm not just a yellow belt, hey buddy, that there's a person who really care about them /. Staff must motivate and educate every student, every day, every class, regardless of having favorites or who the best student is / and also this is really important. You really want to make sure that you and your staff are recognizing / students in / classes. There is another / that we're not / to wish them happy birthday, talk about how great they did in their report card, that we're giving them the power stripe which is / belt and they just really work hard and demonstrate /. There's so many /. So what we do to /. Okay and finally here, this would be / Your staff, yourself, your school must convey the important benefits of martial arts training. Okay, the philosophy of your school, what is it? Is it fun, family, friendly, are you building tomorrow leaders today, are you leaders in your community. This is really important what you're teaching in your school. You may know it but is your staff understand / and the parents / everybody's on the same page. You may need to have / staff / about this and you do it all the time, that we should be telling the parents /. Martial arts is the solution to everything. This is that important, but I believe this, martial arts is. Everyone can benefit from martial arts training. Not everyone is going to make to black belt, but everyone can benefit from the training. And here's another one. Not everyone will be a champion, but every person, everyone can benefit from champion's training. So martial arts gives so much /, everybody should be part of it /. Whatever their situation, / lost, they may be bullied, stressed, whatever, martial arts / can. A staff must be able to educate students and parents on the importance of training, goal setting and stick-to-it-tiv-ness. I mean that's what we're teaching. Goal settings are important. The training of course the physical part, the mental and spiritual benefit really. Staff must use power words like respect, confidence, these are all power words that we're teaching / in classes, perseverance, courtesy. Constant promotion on the mental and spiritual benefits of training should be included in every class, every announcement that you make within the class or with the parents, special events, all your marketing tools, your website, your social /, you want to make sure, you know they may understand that or have a certain / but they maybe deviate and forget about it, so you need to do it on all levels. Black belt level / they're getting out all of the benefits, but sometimes they forget. They've been here a long time / getting out / so you have to re-educate continually. You are teachers, you're educators. Now the picture on the side if you can see it's one of our schools get ready to / $10,000 fundraise to /. That kind of goes back to our philosophy that / benefit of martial arts / not only local charity in our community, but larger national charities / fundraising. We just want to promote that because it's kind of / in with /. We are leaders in our community, we're educators, and / children at a young age, you're really helping them to be better people. You do all of these things, you get back / what we can do / give back so much more / very successful. So I guess that was tenth, so I just / to /, offer you a big thank you for everyone / pretty close / having this. We want to thank everyone at ChampionsWay. I want to personally thank Master Farid and Keith and Vahid and / allowing me this opportunity. Also mentors, I believe that everybody should have a mentor or a go-to person, / help me in all aspects, business, personal /. My family, my wife and children / giving a shout. All my partners and friends /. Everybody here, the attendants of the webinar. Hope you get something out of it. Thank you again. That's my contact info if anybody / personally. I'm going to turn it over now to /. Moira : Thanks, Mark, thank you so much, that was a great webinar. Just before we had the question and answer, I wanted to take a moment to announce that we have a webinar next week with Kimberly /, our very first co-hosting event with the MAIA and we're very excited. I'm just pasting the registration link in our chat box if you want to go ahead and take a look. Otherwise you can find more information on our Facebook page - facebook.com/championswayfans. I'll invite you to ask your questions by typing them into the chat box.